In this article we will be foregrounding out all about Beenish Chohan biography, profile and pictures as well. Here we will go to talk about the personal and professional life of Beenish Chohan and by the end we will be sharing out some of her beautiful pictures. Beenish Chohan is known as being one of the most famous and yet one of the most top model as well. She is currently counted in the list of popular Pakistani models. 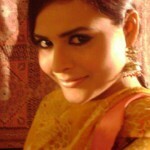 Pakistani model Beenish Chohan was born on 7th February 1986 in Lahore. She was born and brought up in a Muslim family. She is known in her family as women with great beauty and with charming heart as well. She just loves to listen music and spend time with her family in her free time. Her passion for work and sense of responsibility has made her as one of the first choice of every single director and producer. Fashion model Beenish Chohan started her acting career just few years back. In just beginning of her career she has touched the sky limits with great sum of success and reputation. In one of her interviews she revealed out that: “I like acting better, as i started my career as a model. But then the fashion world has its own charms”. She has so far worked in many dramas and serials.